PARIS 2e: It's a bird? It's a plane? It's a terminal! 0 Comments Published by Cedric Benetti on Monday, July 23, 2007 at 7/23/2007 06:31:00 PM. 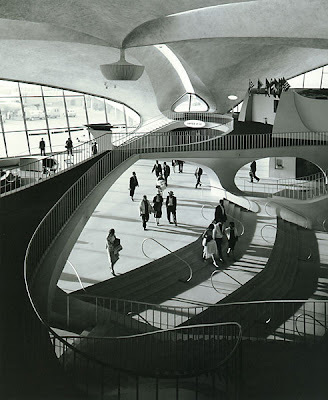 Eero Saarinen gave New York City a symbol that captured the grace and excitement of the jet age by mimicking the shape of a soaring bird. 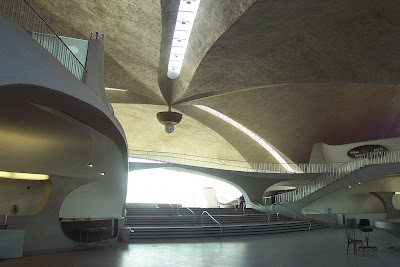 Since its completion in 1962, the TWA Terminal has served as an icon of both modern air travel and modern design. 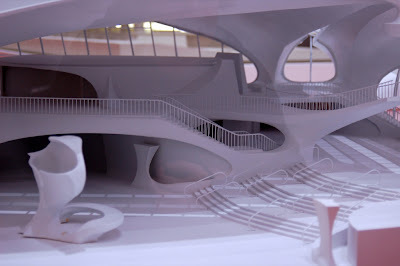 But its daring gull-winged construction—a reinforced concrete sculpture that tested the limits of its material and of what modernism could be—was the source of its distinction as well as downfall. 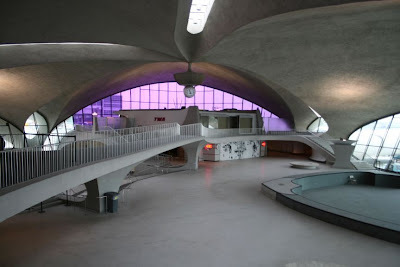 The building’s stand-alone, sinewy form made it difficult to adapt it to the rapidly modernizing airline industry. Larger airplanes, increased passenger flow and automobile traffic, computerized ticketing, handicapped accessibility, and security screening are just a few of the challenges that Terminal 5 could not meet without serious alteration. 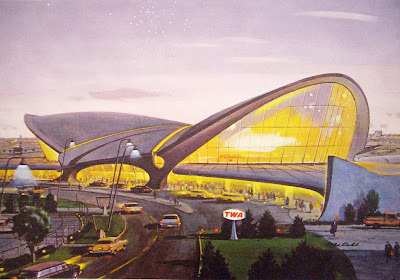 When the terminal closed in 2001 (in the wake of TWA’s demise 1999), no other airline stepped up to take over the space. 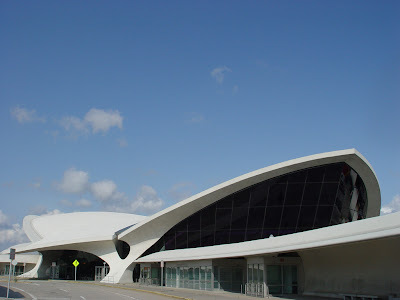 In December 2005, JetBlue, which occupies the adjacent Terminal 6, began construction of an expanded terminal facility, which will utilize the front portion of Saarinen's Terminal 5 as an entry point. 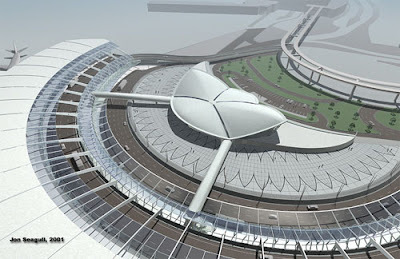 The peripheral air-side parts of Terminal 5 have been demolished to make space for a mostly new terminal, which will have 26 gates and is expected to be complete by 2008.